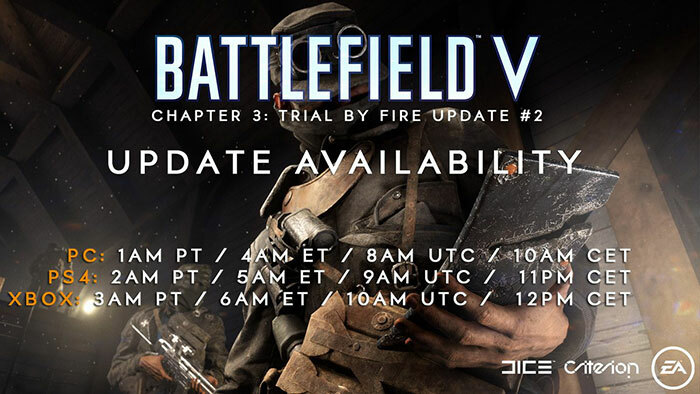 Today, EA has introduced Battlefield Currency to Battlefield V, alongside the release of Chapter 3: Trial by Fire. 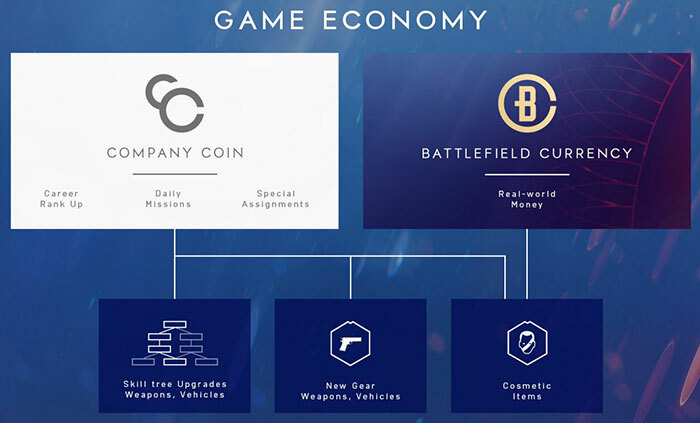 Battlefield Currency is purchased with real-world money, and will co-exist with Company Coin, which users have been earning and spending thus far on various in-game items. Initially the new currency will work as in the diagram above. In this way it will allow you to purchase cosmetic items that appeal, and help you save your hard-earned Company Coin for more important things like skill tree upgrades, weapons, vehicles, and other new gear. However, EA's plans have started to change since the top diagram was produced a few months ago. A new Battlefield Currency FAQ says that from today the new currency will also be able to purchase in-game items called 'Elite Sets'. EA says that, from Chapter 3, Elite Sets will allow you to play as a distinct soldier in multiplayer modes, including Firestorm. It is further explained that "Each Elite is a unique character with a name and background. They consist of a themed assortment of cosmetic items, character voice overs, a Best Squad animation, and an exclusive Special Assignment that helps bring to life the story of the Elite and unlocks a signature melee weapon." EA insists that "Elites play like any other soldier and do not grant any type of gameplay advantage". Gamers will be able to find out more about the first two Elites, Seamus and Ernst, in the near future. 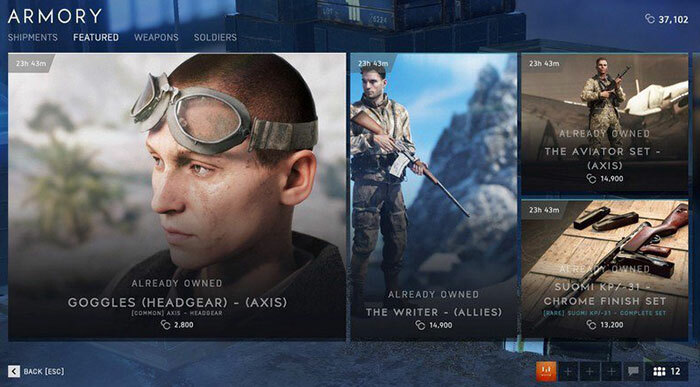 Value bundles will be purchasable from today including various cosmetic items plus various amounts of the new Battlefield Currency. You can find out more about the contents of the Battlefield V Starter Pack and the Battlefield V Premium Starter Pack on the recently published FAQ. Pure greed, simple as. Next they'll be adding ads to it as well. Already seeing games with some ads on the walls, crates, etc. No more “here is a complete product” game anymore. More like here's a game, pay if you want to get ahead.